The antidote to this is, of course, due diligence and preparation which, in most cases, should be done the prior day. But perhaps, just as important is systematizing the first hour of your day and making it a sacred time for intentional activity, quiet, solitude, and mindfulness. This can be super powerful and make all the difference in terms of how you approach trading. 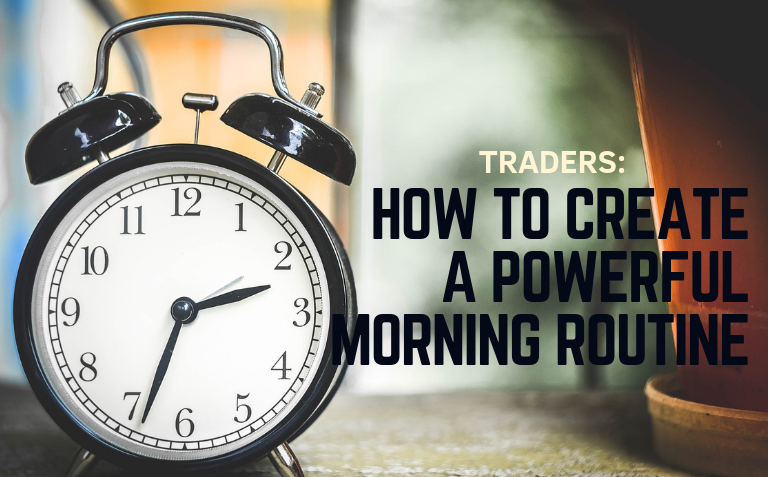 In fact, I’ve worked with many traders over the years and what I’ve noticed is that the consistently profitable ones have ‘sacred rituals’ that they do in the morning to help prepare them mentally for the day. • Making a list of the things you’re grateful for. • Reviewing your action plan for the day. • Making sure that you’re in the right state of mind. • Restating your commitment to be disciplined. Personally, on the days where I do those actions, my entire day is transformed. I am more mindful, positive, focused, and productive. Treating this first hour as sacred also helps me to remember that every hour can sacred, not just the first hour of the day. Hence, the momentum of that first hour ripples throughout my day. And so, whether I end the trading day with a positive P&L or not, my attitude is always positive. My Current First Hour Routine. My daily routine has varied a lot over the years. It never stays the same; it changes depending on the circumstances in my life. But one thing that has rarely changed is my first-hour routine. Here’s what I’ve been doing for the past 5-6 years, with only minor changes here and there. I’m a morning person. I like to go to bed early so that I can wake up early. The reason for this is that I value my sleep, and I also find that I’m more relaxed and productive in the morning. Right After I Wake Up, I Think Positive Thoughts. As the early morning light starts to seep in and wake us up, what typically get us out of bed are our thoughts about what we need to do, worries, anxiety, and so on. It’s rarely positive, empowering thoughts, yet, it would make a world of difference if we could practice waking up to such thoughts. So, that’s what I do. When I wake up and my mind slowly gathers, I immediately think of how a privilege it is to be alive, to be in good health, to be doing what I love, and so on. Although I don’t always succeed at this (sometimes the worries and anxieties sneak up on me), the next exercise usually helps to calm and center my mind. I Do A 20-Minute Meditation. 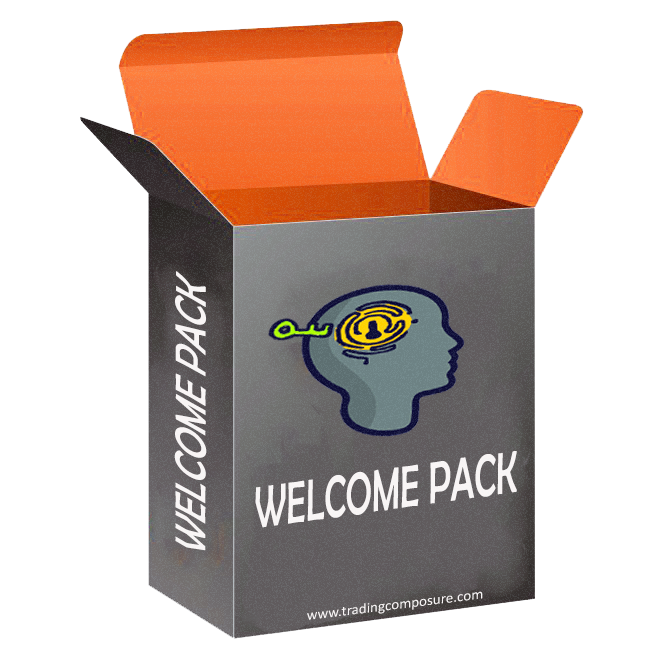 When I get out of bed, immediately I’ll have a glass of water, I’ll turn on the coffee machine, and then, I’ll meditate for 20 minutes – I’ll do a typical mindfulness practice. When I’m done with my meditation, I’ll put some soothing coffee shop tunes from Spotify in the background, I’ll grab my coffee, turn on my computers and while everything is loading, I’ll scribble in my journal 3 things that I feel grateful for in this moment. 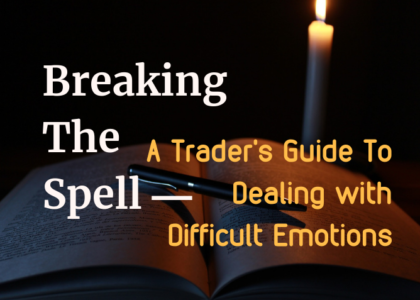 Then, I’ll glance over the news briefly and I’ll proceed to write down my thoughts and feelings about certain trades I have on (or that I’m looking to initiate); I’ll also write about what the market does that surprised me, and what this tells me. This act of writing down my thoughts about my trades, my behavior, and the market, takes me less than 10 minutes, but it helps refine my intuition while continuously shepherding my behavior in the right direction. I Review My Action Plan For The Day. I look at my plan; I’ll look at my levels… pretty straight forward. So this is my lovely first hour morning routine. After that first hour, I’m then free to check emails, Twitter, and get on with the rest of my day. I have to say, I derive a lot of pleasure from doing things this way. Nobody bothers me during that hour. I’m with myself and I cherish that moment a lot. But it wasn’t always this way: I used to wake at no fixed time, usually with anxiety, and I would start my day with a grumpy attitude. Of course, this affected the way I traded until I eventually realized that this wasn’t a productive way to approach this whole thing that is (in fact) my life. So I decided to change my ways, and I now get much better results. Creating Your First Hour Routine. You don’t have to do exactly as I do. The idea is to figure out what works for you. • Restating your commitment to be (and stay) disciplined. • Maybe you can add some exercise in there as well. Or just going for a walk. But none of that is fixed in stone. 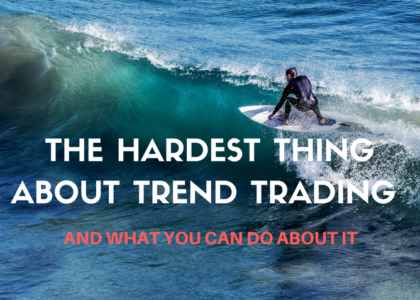 Do what feels right for you and what best prepares you (mentally) for the trading day. If you’re thinking to yourself: “I don’t have time for this”, maybe start waking a little earlier. I would guess that you probably have time to check your messages and do other things online. All I’m saying is that you could use your time in a different way. Instead of spending it on little things that bring you nothing but a weak, undisciplined, and scattered mind, maybe do things that help you reclaim control of your mind. The decisions are already made. There’s no constant choice to be made, just doing. And this liberates the mental space needed to take better decisions when the stakes are higher. The challenge is to focus on keeping your word to yourself, sticking to those decisions, and finding that focus. And then turn that into a routine.